Create, learn, work, and play like never before. 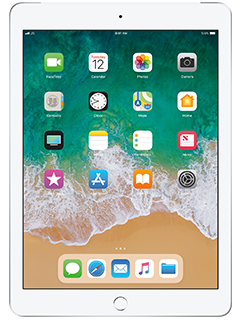 Featuring an immersive 9.7-inch Multi-Touch Retina display, powerful A10 Fusion chip, and now support for Apple Pencil, there's nothing else quite like iPad. With 64-bit architecture, four-core design, and over 3.3 billion transistors, iPad is incredibly fast. Every aspect of iPad is designed to make Augmented Reality apps more magical than ever before.